I can understand the reason for the decision. Given recent head injuries, the legal exposure of not doing anything is too big. Consider a driver that can earn $50 million in a short career. they had to do something. It is not just for flying wheels. It is for running into cranes. Or cars landing on the driver. The decision is logical. Just that the solution is ugly. No it is not. Let's see, a 720kg vehicle running into a 3500kg crane at 100mph (JB's crash was at 125mph and his ear plug sensors registered 98g's of force to the head). Laws of physics dictate the 3500kg crane will win regardless of the halo at that speed. It was a "freak" accident in inclement weather and as we have seen recently, when cranes are brought out, they red flag the race or a SC is implemented. I just don't know how strong that Halo will be. If the Halo comes in contact with another object, can it brake and impale the driver? Isn't this a security risk? And yeah, no way this thing can save a driver going into a crane at 125mph lol. Simple physics. I'm against all kind of ideas regarding closing the cockpit. However, if they must do it i think jet-like canopy is what they should aim for. wheel @ 225kph. They just need to work on the distortion. Now a fighter jet canopy is wider than an F1 car cockpit...but I'm sure it can be worked out...maybe?? I just don't know how strong that Halo will be. If the Halo comes in contact with another object, can it break and impale the driver? I have been thinking the exact same thing. The Halo could end up being the opposite of what they intended it for. My passion for F1 is almost lost as soon as the disastrous defeat for Ferrari at Silverstone last weekend. I have convinced myself not to get too serious about the sport anymore. This Halo device thing is convincing me even further to totally forget about F1. Thank you FIA for making the sport great again. Halo device is not aimed to be a specific remedy for Bianchi's accident. Driver's head protection has been a long standing issue in open wheel racing. Recent tragedy, as well as several near miss, has brought up this issue again, and this time there should be a solution. You can always pick aesthetics when it comes to performance design discussion, but it should never be a factor in safety design. Regardless, F1 car design has changed a lot through out the decades. Wings, wheel size, nose cone, engine sound, you name it. People have swore off watching F1 everytime something changes, but at the end of the day, what really matters is the competition. When we have great competition, no one is talking about the engine sound anymore. the constructor of the car 2.) manslaughter to the owner of the car 3.) negligence to the organizers of the track NOT TO MENTION the family sueing everyone!!! at least doing something about it. I can see drivers not driving in protest in 2018 first race. 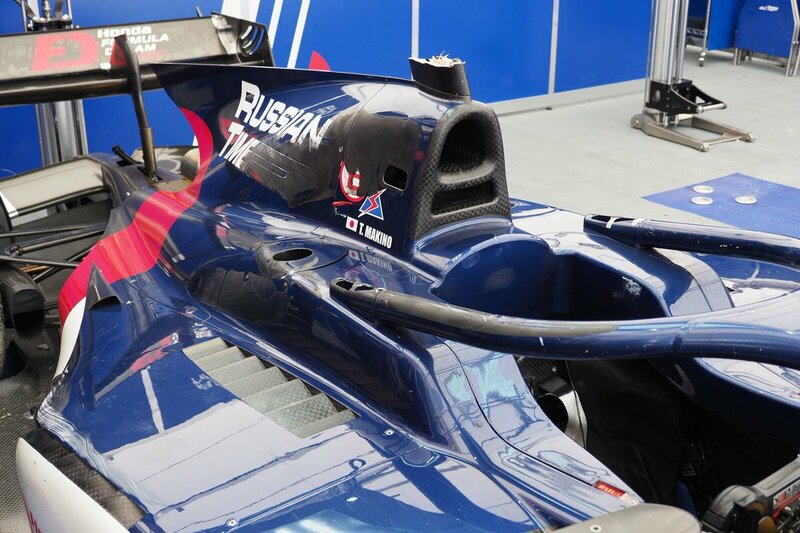 FIA is trying to force the Halo, for whatever the reasons, but they do it the wrong way. And yes, I am pretty sure that the only team supporting it is Ferrari. But I am really not convinced that the current design will work; in fact I am worried that at this design is more dangerous than helping. What appears to be the drivers view with the Halo. "Did the lights go out??" Visibility in an F1 cockpit is not really great even without the Halo. Now, it's disastrous lol. Let's see how it all pans out. I think it's not gonna go smoothly. Let's forget the Halo all together and have the drivers race scaled model RC cars from the safety of a padded room. There's a concept for F1 head protection made by a gentleman called Olcay Tuncay Karabulut making the rounds. Worth a look. I'd post in on here but I am unable to reach him to get permission. I loved Magnussen's opinion and words regarding the Halo. Did you mean the Halo system, Lou? I wonder if it helps or hurts getting out of the car in a hurry? 2. There was some talk that the maximum time threshold for a driver being able to get out is going to be raised from 5 seconds to 8 seconds. Don't like the darn thing and I was totally against it. 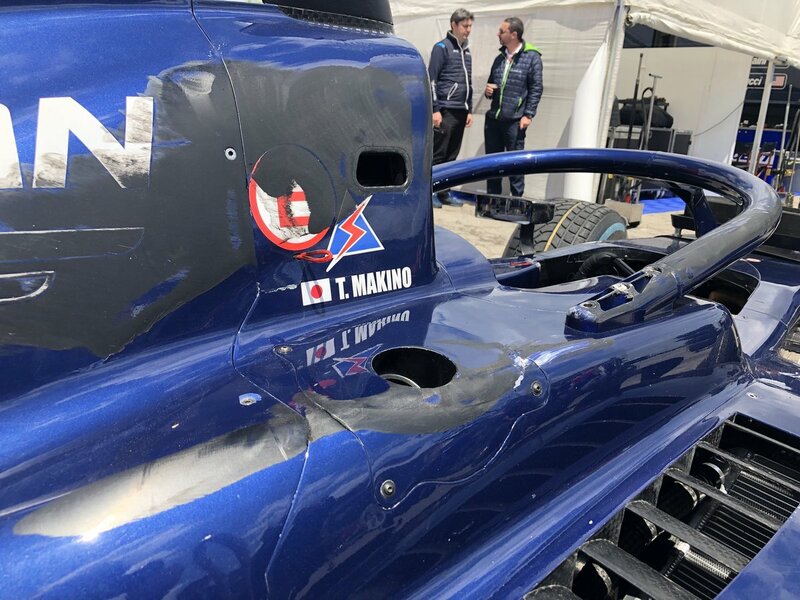 That being said, it looks like it saved Tadasuke Makino life during F2 at the Spanish GP 2018.
pics. The black marks is the rubber from the other car. Last edited by jgonzalesm6; 17th May 2018 at 18:44. It sure looked that way! Thank's to that halo; no injury was the result . The halo also serves as a help for the semi retired drivers getting in and out of their car. The FIA's official investigation in to the first corner crash at this year's Belgian Grand Prix has concluded that the halo saved Charles Leclerc from being hit on his visor by the front wing endplate of Fernando Alonso's car, Motorsport.com can reveal. Following weeks of analysis of video footage and data from the cars involved, the final report in to the accident has concluded that the halo did play a crucial role in saving Leclerc from injury or worse. 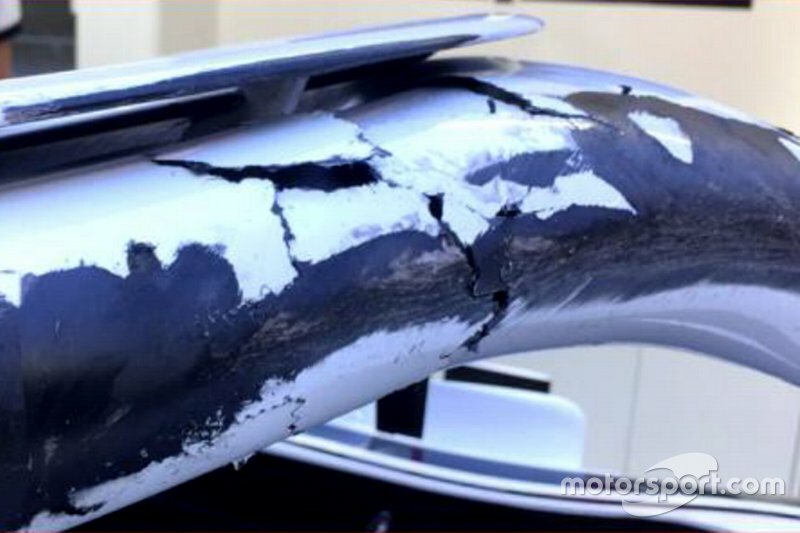 For not only did the cockpit protection system remain ‘structurally intact and in a usable condition’ following the 58kN impact from Alonso’s right front wheel – with Sauber able to remove it without issue after the event – it also helped deflect the McLaren away. Pictures of the accident captured by the FIA’s high-speed cockpit camera showed that Leclerc was only hit by small pieces of carbon debris from Alonso’s car as it flew over his cockpit. 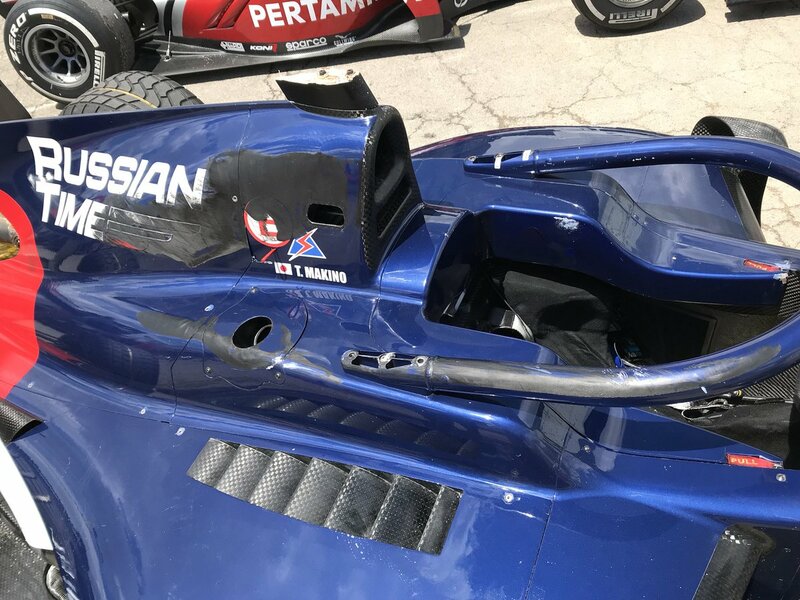 Without the halo, however, the incident would have been worse – even though the front-wheel trajectory would not have brought it in to contact with Leclerc’s head. 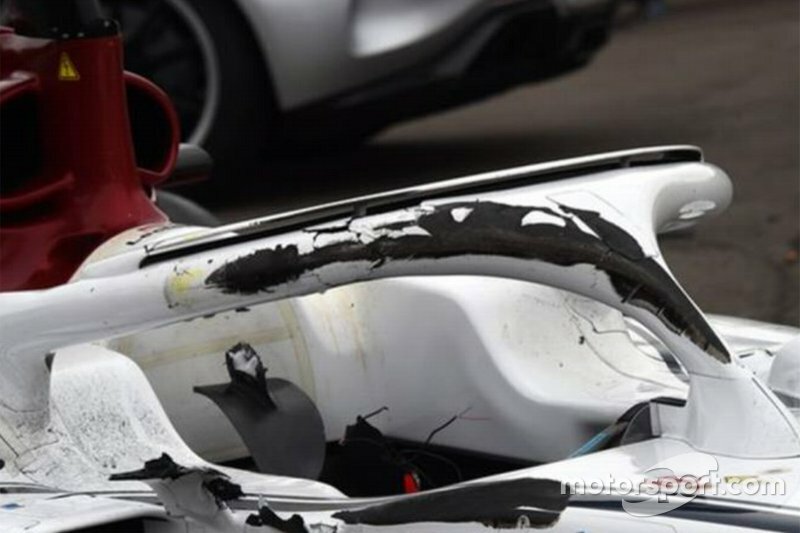 Speaking exclusively to Motorsport.com about the results of the investigation, the FIA’s Safety Director Adam Baker said: “From the available data and video footage, we are confident that the wheel would not have hit Leclerc’s helmet. The official crash report in to the Spa accident, put together by the FIA Global Institute, confirmed that the main point of contact was Alonso’s right-front wheel striking the right-hand upper side of Leclerc’s halo. Analysis shows that the relative velocity between the two cars was approximately 30km/h, with an estimated impact angle of 90 degrees. This clash with the halo was enough to break the suspension on Alonso’s car, but the right-front wheel rim remained intact and the tyre appeared to have remained inflated. Leclerc’s right rear suspension was broken in the accident. *If the wheel had contacted Leclerc’s helmet with a similar force, there would have been potential for a very serious head or neck injury. * The energy and force of a wheel impacting the Halo are inherently limited by the speed and mass of the wheel assembly and strength of the attached suspension. If the full mass of the car had impacted the Halo loading through the primary structure, the impact energy would have been approximately 30kJ (based on 840kg at 30km/h). Such energy would have devastating consequences if it loaded directly onto the driver. However, the Halo would not be able to absorb all this energy without significant deformation and probable failure. *An investigation by Sauber has confirmed that the Halo structure, its attachments and the chassis were not damaged or deformed due to the engagement with the wheel. And thank heavens it did its job and we now have an impressive young Charles to take us into the future. My sentiments exactly, Giallo, and maybe it would have helped Felipe avoid those terrible injuries back in 2009, not to mention other drivers who sadly didn't survive similar accidents.